What is an electric lift chair? An electric lift chair is a chair that allows the user to get up alone, effortlessly and safely. It facilitates the passage into a sitting position: when the chair is in a high position, it supports the weight of the person sitting down by accompanying him to the sitting position. These chairs are very comfortable and offer multiple functions: depending on the number of motors or the model, the chair goes into a lift position to help you get up, you can lie down and/or lift your feet. Each lift chair has an ergonomic remote control (very often wired) to make adjustments simply and smoothly. This allows the user to easily adjust the inclination of the backrest, legrest or footrest. 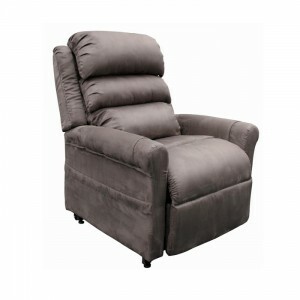 The electric lift chair is placed in your living room or bedroom and allows you to combine the useful with the pleasant. Long perceived as an “old-fashioned” product, lift chairs today give pride of place to design thanks to their studied lines and contemporary upholstery. Classic armchairs and sofas are often not well adapted because of their low or soft seat. The electric lift chair thus prevents apprehension and the risk of loss of balance when the seat is raised. For whom are these lifting chairs recommended? Designed primarily for the elderly, these electric lift chairs can also relieve a large number of sick or disabled people. Some models favor comfort and well-being with their heating and massaging function, thus meeting the needs of a greater number of people, especially those suffering from severe back pain. A lifting chair equipped with a double motorization allowing to get up and relax in complete safety. The use of the 2 remote controlled electric motors, silent and of a high precision, confers to this chair all the desirable positions because the backrest tilts and rises independently of the legrest. Rest, reading, nap, conversation, watching TV, having a sit-down meal… the remote control at your fingertips allows you to easily adjust the inclination of the back or seat and legrest, depending on the circumstances, so you can rest, raise your legs to improve blood circulation, sit down and stand up effortlessly and safely. In addition, you can store your books in a pocket on the right side. The relax position offers the user the possibility to partially tilt the backrest of his electric wheelchair as well as the footrest in semi-recumbent or chaise longue position. The rest position allows the user to lie fully in the chair, offering maximum comfort. In this case, the inclination of the footrest and backrest is almost horizontal at 180°. The lift function, or raising aid, allows the user to get up and sit in the chair effortlessly. Thanks to an electric cylinder placed under the chair, the chair rises gradually and tilts slightly forward to facilitate the lifting of the person. The electric chair allows the user to sit or stand up easily and to relieve the lower back muscles, kidneys, legs, thighs and abdominal belt. This chair, supporting a maximum weight of 120kg, gently lifts and lies down; the fully removable seat cover extends over the legrest for better support and can be protected by a seat sheet sold separately. The backrest is composed of three modular cushions for more comfort. The stability of the chair remains perfect at all times thanks to the width of the base of the chair and provides you with superior safety and reliability thanks to the low voltage system. The statistics on burglaries in France are chilling… According to them, there are about 400 000 burglaries per year or an average of 45 per hour! In 80% of the cases, the burglary takes place in broad daylight when the house is unoccupied. But how can we protect ourselves? Is the alarm really effective? Is an alarm really effective? The alarm has never prevented a burglar from entering a house… But it is a deterrent. Indeed, in most cases, if an outside siren sounds in an entire neighborhood, then the person with bad intentions will prefer to leave the premises quickly rather than get their hand caught in the bag! However, in terms of efficiency, there are intrusion alarms on the market that are more or less reliable. To be sure to make the right choice, it is preferable to choose an alarm system that meets the NFA2p standard. This standard governs equipment intended for the protection of buildings. This is a guarantee of quality because the product must meet very strict requirements. An alarm approved NFA2p is also recommended by home insurance. -The wired alarm will be cheaper than a wireless one. That’s a good point! However, it is more complicated to install. Indeed all is connected by wires, it is thus more appropriate for a new house or a total renovation. Its installation cost can sometimes exceed the surplus in terms of purchasing a wireless alarm. -The scalability of a wireless network is also to be preferred. You want to add a detector? Nothing could be easier! Just register it and set it up. -The interview is also to be taken into account. On a wired network no maintenance! On a radio alarm, the batteries should be changed as soon as necessary. If you prefer a radio model, be aware that some manufacturers sell products with an autonomy of 10 years! What features will you give your alarm? An alarm kit generally consists of a central unit, a few volumetric detectors (2 or 3), an internal siren, a keypad and one or two long range rf remote control. 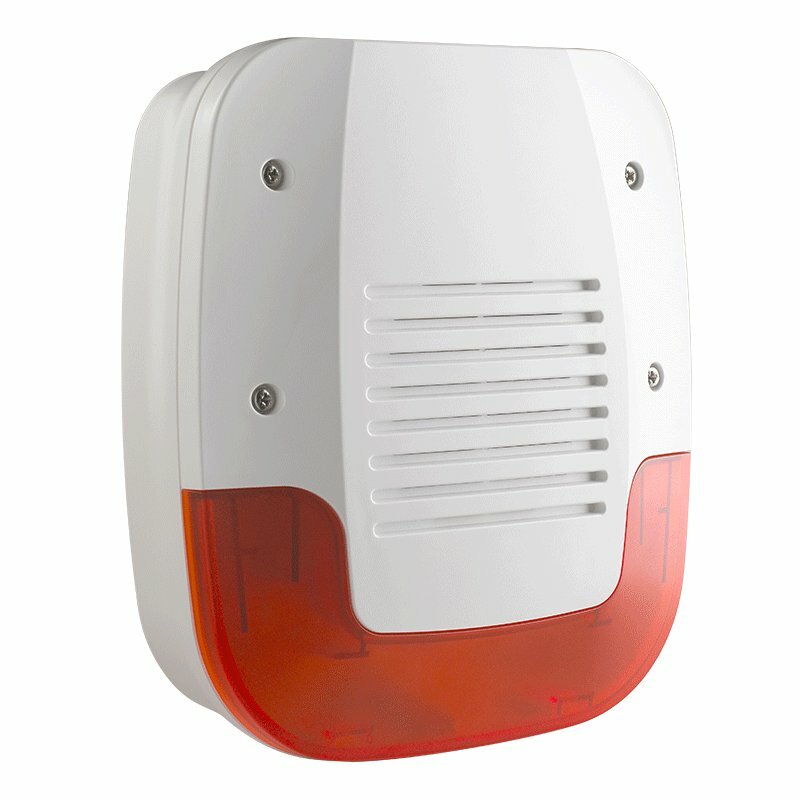 If you live in a detached house, it may be worth installing an outdoor siren. It will make more noise than the siren inside and can alert the neighborhood of a problem in your home. Would you like to be alerted of an intrusion if you are not at home? Your protection system must be able to communicate either via GSM (mobile network), the France Telecom standard network or via a smartphone application for example. And many other features may interest you… When the alarm sounds, you can quickly check if it is a false alarm or if you need to act quickly. The other advantage is that you can view your home remotely at any time. Your clothes dryer is one of the essential appliances for the comfort of your home. Bringing warmth and speed, its operation brings you happiness and joy, until the moment your device breaks down. What are the distinctions between the different models, and the most frequent breakdowns for your dryer? There are two models, which work in the same way but differ with regard to the drainage of the water used. One of the models, the condensation clothes dryer will condense the water and collect it in a tank that will have to be emptied regularly. The drainage model will instead drain the water via a pipe to the waste water duct. Several causes can interfere with the operation of your device, including mechanical causes. One failure of one of your mechanisms is enough for your device to fail. What are the most frequent breakdowns in your dryer? If the lights on your clothes dryer are not on, it is possible that the failure only concerns the power supply. Check the connection of your appliance, and the circuit breaker of your electrical panel. If the connection and the circuit breaker are working properly, you may have a false contact or a problem on the circuit board. Several mechanisms can interfere with the operation of your clothes dryer, or even prevent it from starting the drying program. The slightest grain of sand in the wheels of your device can hinder its operation (literally or figuratively). If your appliance door does not open or close, the problem may simply be one of the closing elements. The safety latch, contact pin, or locking hook on your appliance may be displaced or damaged, preventing operation of the dryer. If one of these mechanisms is displaced, your dryer door will no longer close and you will no longer be able to start your appliance. It is possible that it is simply the weight of the laundry in your appliance that prevents the drum from rotating. In this case, it will be enough for you to lighten your dryer. It is also possible that the remote solenoid kit may be broken and will need to be replaced. You may have a problem with the resistance of your device. The resistor is the part that produces heat, which is then ventilated in the unit. In case of damaged or defective resistance, your unit will not be able to produce heat. Simply replace this part and your dryer will start working normally again. If you have a condensation clothes dryer, it is possible that your water collection tank is full, it should be emptied ideally after each use. It is necessary to clean the lint filters after each drying, to prevent dirt from accumulating and blocking the operation of your clothes dryer. This mechanism is only present on condensing models, and is used to cool the water vapor in order to store it in the tank provided for this purpose. It is necessary to clean this mechanism regularly to allow it to fulfill its purpose, and the tank. It is possible that the air duct of the dryer is clogged with lint or pieces of fabric. remove the exhaust pipe from the wall and use a vacuum cleaner to remove fabric and lint from the duct. For……… too long my oil circuit has been draining after a prolonged stop. Balance, it takes at least 15 seconds to restart to regain oil pressure (turn off the sight glass). I changed the pump, the pump casing, the strainer and even the engine block. Without result!!! So to avoid waiting for the worst, I decided to install a battery (oil pressure accumulator). The accumulator: It consists of a cylinder with a piston. On one side of the piston, air under pressure, on the other the oil reserve. The solenoid valve and its pressure sensor. Pitting on the oil circuit, after refrigerant (accumulate cold oil). After the oil filter to avoid impurities that could alter the surface of the cylinder and piston seal. Advantage: the oil filter serves as a valve, all the oil is directed to the engine block. Note: In all cases, the oil pump is gear driven, even if its tightness is not perfect, it acts as a valve. As my oil filter is not offset, it is directly on the engine block. An accumulator and a manual valve. This arrangement is mainly used for pre-greasing when starting the engine. During operation, the valve is open, the pressure in the accumulator is that of the oil circuit. Before stopping the motor, the manual valve is closed, the pressure in the accumulator is constant (that at the time the valve is closed). It can be interesting to carry out this operation in accelerated mode to have a maximum pressure. Before restarting the engine, the manual valve is opened, the pressure in the accumulator drains the oil into the circuit and pre-greases it. 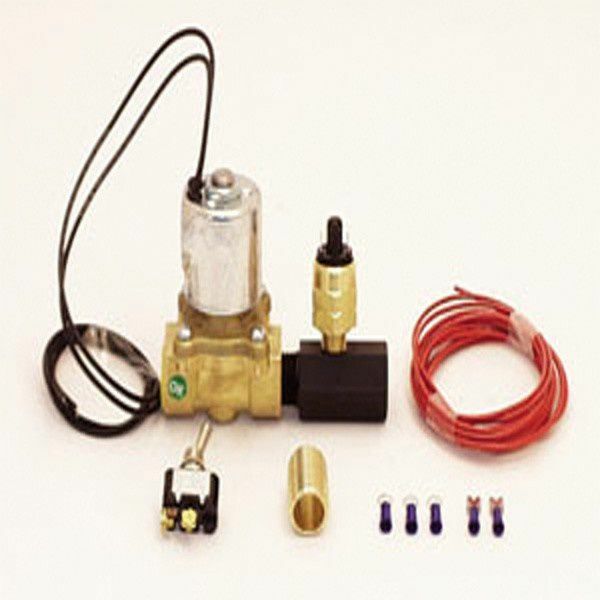 The manual valve is replaced by remote solenoid kit, the principle of operation is identical. The solenoid valve can be ordered: by a switch on the dashboard, or directly powered by the +12V ApC. It will close when the ignition is switched off while the oil pressure is still normal in the circuit and will open as soon as the ignition is switched on again (before operating the starter) (the pressure in the accumulator will force the oil into the lubrication circuit. As in the previous case the system is powered by the +12V ApC. The pressure sensor 20-25 psi (1.4-1.7 bar) or 35-40 psi (2.4-2.7 bar) or 55-60 psi (3.8-4.1 bar) is connected in series with the valve, it measures the pressure in the lubrication circuit. When the pressure exceeds the high threshold the contact is open, the valve is closed. When the pressure in the circuit drops below the low threshold, the contact is closed, the valve is opened, the accumulator supplies the lubrication circuit. Choice of pressure sensor: it depends on the engine characteristics. During normal operation, the solenoid valve must remain closed (keep the pressure reserve in the accumulator). Therefore, the low threshold must be above the minimum pressure in the circuit during normal operation (usually at idle). This condition could make us choose 55-60 psi, but in this case, the valve would not close before the high threshold, and therefore the reserve would not be replenished. Conclusion: Choose the value just above the fuel pressure at idle. Advantages of the pilot operated solenoid valve: In the event of “lift-off” (mainly on the circuit), the lubrication pump defuses, the oil pressure drops sharply. The oil pressure is maintained by the discharge of the accumulator for 20 to 60s (depending on the size of the accumulator and the type of engine – oil consumption). Note: For pre-greasing before starting, same operation as above. Aluminum gates have several advantages. In terms of aesthetics, they will give you complete satisfaction. The purpose of this article is to enlighten you on the subject. In recent years, automatic portals have been a huge success. In other words, they make our lives much easier. A simple gesture allows them to be opened without even getting out of the car. No more wasting precious time getting out and getting in the car every time you get out. The swing gate remains the most classic gate, it consists of two leaves that can be opened from the inside and from the outside. Moreover, it is more economical than the sliding one. It is available in many materials including PVC, steel, iron, wood and aluminum. The aluminum swing gate has several advantages. Known as an elegant material, it will add an aesthetic touch to any exterior, ecologically, it respects the environment. Another advantage is that the aluminum gate fits perfectly into any structure of your gate. Moreover, it is also easy to maintain. The aluminum portal is a very popular model. There are different types of portal, each with its own specificity. From the most classic to the most advanced, there is something for everyone. 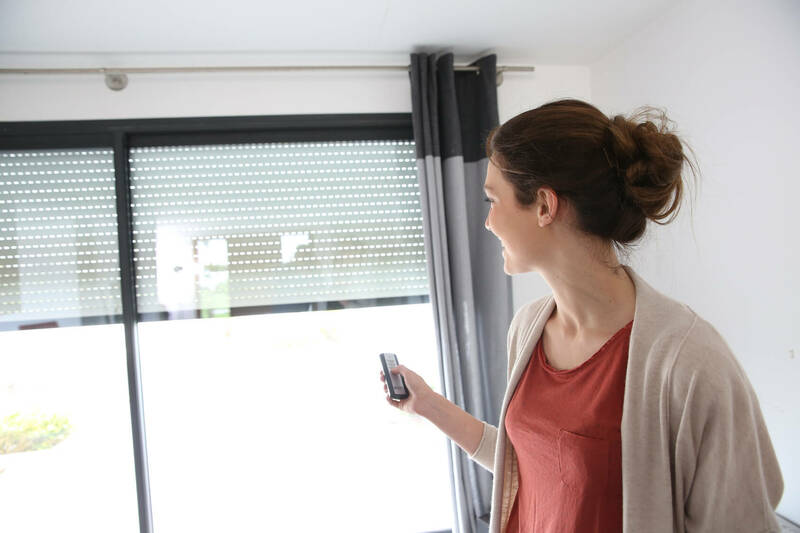 Lately, it is impossible not to have noticed the enormous success of motorization systems. Systems can be found that are adaptable to each type of closure. The main materials for their design include PVC, aluminum, iron, steel and wood. It is possible to choose according to its use. Namely, they are used as protection of the house or just to be aesthetic. The swing gate remains the most used. Indeed, it is very widespread because of its practicality. Another model is the sliding gate. Unlike the swing gate, it opens much faster, in the event of a breakdown, the leaf can easily be opened by hand. There are 4 types of gate operators, cylinder operators, arm operators, sliding gate operators and underground operators. Before choosing the automatic system to choose, it is essential to have recourse to a professional since they are more complex to realize that to make. The price of each gate varies according to the material with which it is made. For more convenient, an rf remote control is also necessary. Trendy, practical and efficient, an electric roller shutter offers different advantages to its user. Due to wear or weather, your equipment may be blocked or out of order. Don’t panic, no need to call in a professional or buy a new one, all you have to do is bring the right equipment and follow the right ones. Doing the repair yourself offers you the opportunity to save money on your project. In this article, we suggest you find the steps to follow to facilitate the unlocking of your electric roller shutter. An electric roller shutter can suffer several breakdowns. Sometimes it can be a power problem or the electrical controls don’t respond anymore. Blockage can also be caused by the deck or damaged or broken blades. Once the problem has been identified, all you have to do is find the right solution. With this damper model, the problem is always electric. In this case, we recommend that you take a look at the fuses on your engine. It is important to check whether they are triggered or not. If you think the problem is with your roller shutter remote control, it is suggested that you change the batteries in your transmitter. If this does not work, you are advised to reset your equipment’s electric motor. However, if you wish to replace your motor or capacitor, we offer to dismantle your equipment in order to remove the motor. With the necessary tools, access the capacitor and replace it with the new one. Once this is done, simply mount it and replace the roll tube in the housing. Before replacing the door leaf, we advise you to stop the motor in the low position. Like manual roller shutters, electric models can be blocked due to a broken fastener or damaged slats. In this case, you can open the housing if it is accessible. Do not hesitate to replace small broken parts if necessary. Without forgetting the return of the blades in the axis in order to align the whole apron. Repairing an electric roller shutter is far from child’s play. If you do not have the proper materials or skills, it is recommended that you seek the services of a professional. This also prevents you from creating further damage to your equipment. In order to enjoy the advantages of your electric roller shutter, we also recommend that you take care of it with some maintenance from time to time. What is a watering solenoid valve? How does an automatic shutter work?